Aged in a cask specially selected by Le Comptoir Irlandais, Arran Peated 2008 has been distilled in 2008 and aged for 7 years in first fill bourbon barrels. Arran Peated 2008 has been exclusively bottled for Le Comptoir Irlandais from a Single Barrel held at the Arran Malt distillery. This expression is limited to 325 bottles. 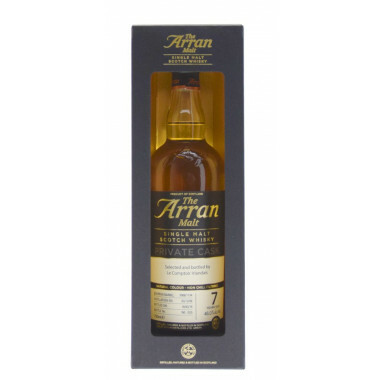 Aged in a cask specially selected by Le Comptoir Irlandais, Arran Peated 2008 has been distilled in 2008 and aged for 7 years in first fill bourbon barrels. The malt has been dried over a peat fire hence imparting a very special flavour to this Single Barrel: this Arran is clearly a unique expression that captures all the beauty and characteristics of the Scottish island. 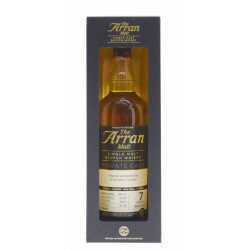 Arran Peated 2008 is peated to 20ppm* and bottled without colourings or chill filtration. 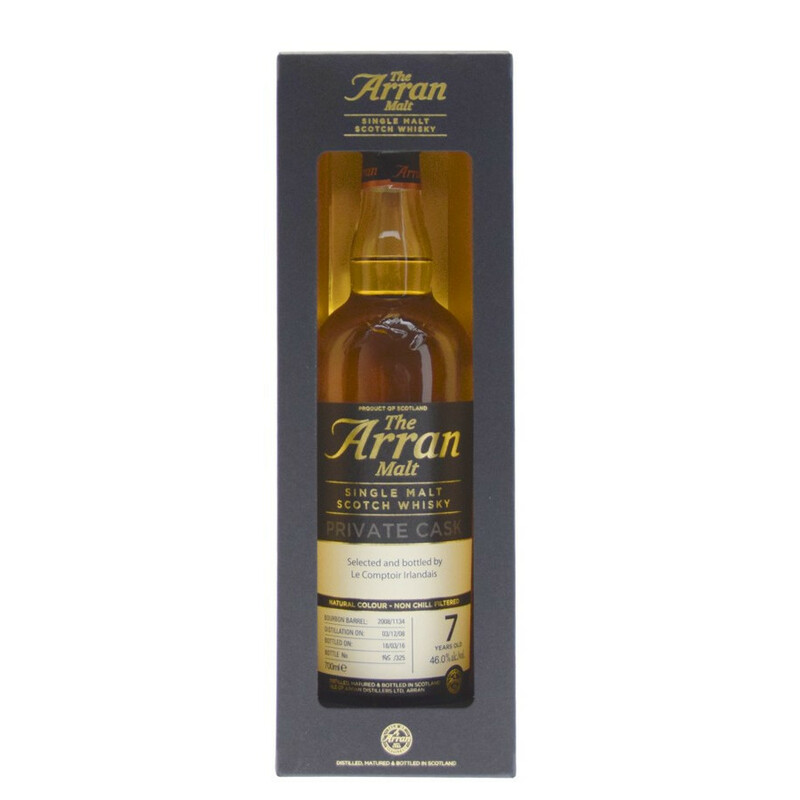 Each cask develops its own specificities, and this Arran Peated 2008 Single Barrel offers an exceptional combination of tropical flavours, warm malty notes, fruits and peat smoke. Nose: dry tropical notes with a peaty waves flowing off the glass. Palate: warm malty flavours with golden biscuity notes, together with a peaty backdrop. Subtle touches of pinneaple, vanilla, lime and lemon lift up the tasting. Finish: long, fruity, peat smoke.